Our society (formal name Steam Tram and Railway Preservation (Co-Op) Society Limited) was established in June 1954 and operated the Steam Tramway and Museum in Parramatta Park up till the 7th June 1993, when it was destroyed by fire. The society was unable to gain approval to re-establish in Parramatta Park. The Society has re-located the majority of the collection to Valley Heights. Our goal is to operate the Steam Tramway in conjunction with the activities of the Valley Heights Locomotive Depot Heritage Museum. We are a voluntary, non-profit organisation that is committed to the preservation of a genuine NSW steam tram and a NSW country mixed steam train. We are the custodians of the steam tram, and a small steam loco, goods wagons and passenger car. We have restored them for display and operation on the Valley Heights Steam Tramway. We are also custodians of two small steam shunting locomotives and additional tram and railway carriages which is in various stages of restoration. All the society projects are available for inspection by visitors to the site on the society's Open Days. 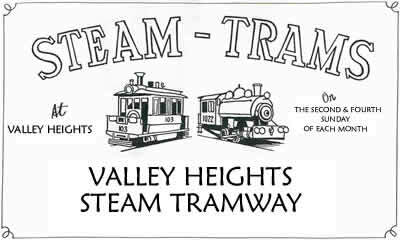 The Valley Heights Steam Tramway is located at the Valley Heights Rail Museum, Tusculum Road, Valley Heights, NSW (adjacent to the Valley Heights railway station). The society is a non-profit volunteer organisation registered as a co-operative in NSW. You can play an important role to help preserve this unique item of transport heritage. No matter how young or old you are it is only with your assistance that our society can grow and thrive ensuring the steam tram wilt survive for the next generations to enjoy and cherish. What will our legacy be to future generations of Australians? Our busy lives often mean we do not pay enough attention to the things we take for granted until it is too late. Today we face an 'alarming indifference in the on-going restoration, of our early public transport relics. Street transport of the Victorian-era featured the steam tram, well before electric trams became the norm. All the remaining items of this once extensive NSW steam tram network can be counted on two hands. Since 1956 our society has laboured long to ensure the remaining relics of the once extensive NSW steam tram network were saved from neglect. We were originally located in Parramatta Park until 1993, when fire destroyed our endeavours. 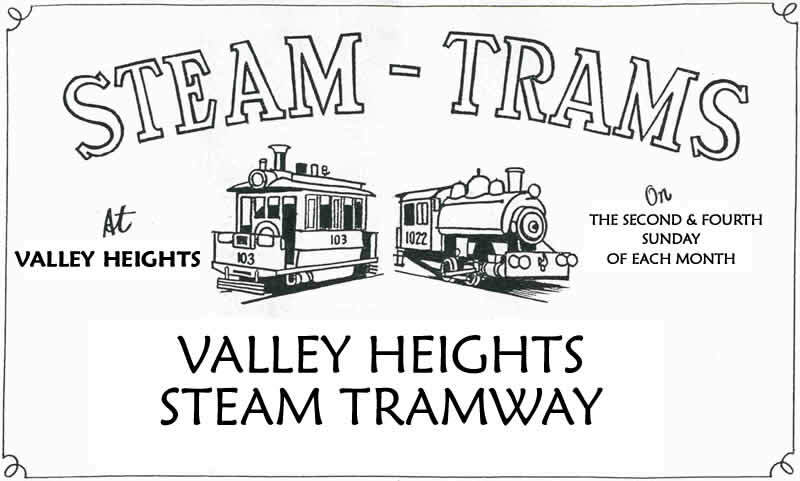 In 1997 the society was invited to move into the Valley Heights Locomotive Depot Heritage Museum and again took the initiative to complete the task of ensuring the steam tram preservation project would continue. That legacy for future generations will be a genuine operating steam tram. Page Updated: Tuesday, 10-Apr-2018 16:59:21 PDT.